You know it’s rude to stare at your phone while hanging out with friends, but what if your phone was the center of attention for a reason? 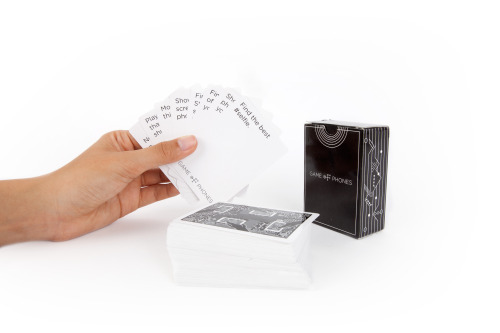 Meet Game of Phones, a card game that puts that smartphone to a real social use. We’re giving away a set this week, so reblog this post with a reason why you and your friends really need it.